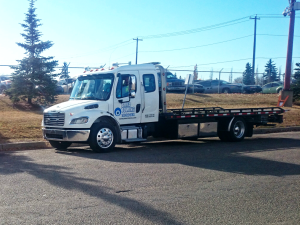 Providing quality tow truck services in Edmonton area since many years. Professional operators, up-to-date equipment, high safety standards, 24 hr cheap local towing service. We are an independently operated business and not affiliated with any other towing company. We are small and trying to build a reputation as a timely, safe, and effective emergency roadside assistance company. In other words, we have a vested interest in your complete satisfaction with our towing service. 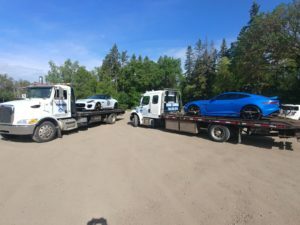 We are fully bonded, insured and affordable towing company in Edmonton. Licensed, skilled and friendly technicians. During the winter months, Edmonton and surrounding areas can be brutal to both drive and live in, and getting stuck in a ditch can really complicate things. 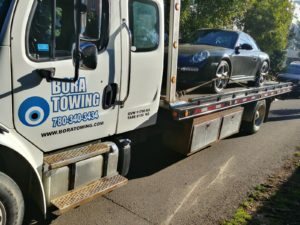 Let Bora Towing pull you out of every bad situation. 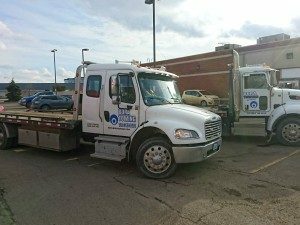 Either your vehicle is stuck in Snow zone or you are facing car battery failure and frozen engine due to colder weather – try our towing services and call Bora Towing, anytime, anywhere around Edmonton. We buy scrap cars and pay top dollar for auto scrap. 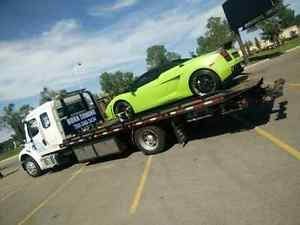 We will tow your junk and give you cash 4 your cars. Flat tire doesn’t have to be painful and you have to climb out to repair it. 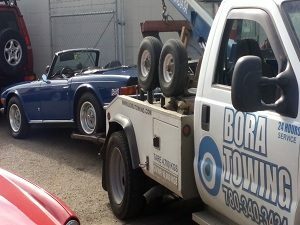 call Bora Towing we will on your side within a half an hour to help fix your flat or fill up your empty gas tank and get you back on the road.